Super Micro Computer may have been the prime target in a hack allegedly carried out by the Chinese military. Tiny chips, no bigger than the tip of a sharpened pencil, reportedly allowed complete access to bugged machines through nefarious code, and many companies, even US government contractors and a major bank, are said to be affected by the supply chain attack. The chips are said to have been planted on server motherboards made by Super Micro during the manufacturing process in China – the tech manufacturing hub of the world. It’s said that a branch of the People’s Liberation Army that specialises in computer attacks were responsible for the dangerous chips being implemented on motherboards that would eventually make their way into servers of some of the largest corporations in the world. Some of the companies believed to have purchased the modified motherboards include Amazon and Apple. The implanted chip was discovered back in 2015 by the US intelligence services, however, both tech giants are said to have made discoveries of the chips at a similar time. 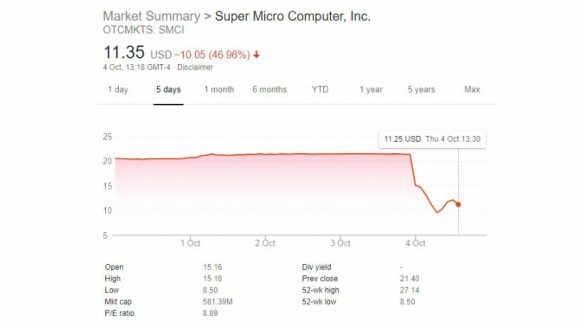 Super Micro, a US-based hardware company, is one of the largest server suppliers in the world, accounting for 5.1% of the worldwide server shipments made in Q3 2017. The company has denied the claims made in the extensive report by Bloomberg Businessweek, however, that hasn’t stopped a share price onslaught. 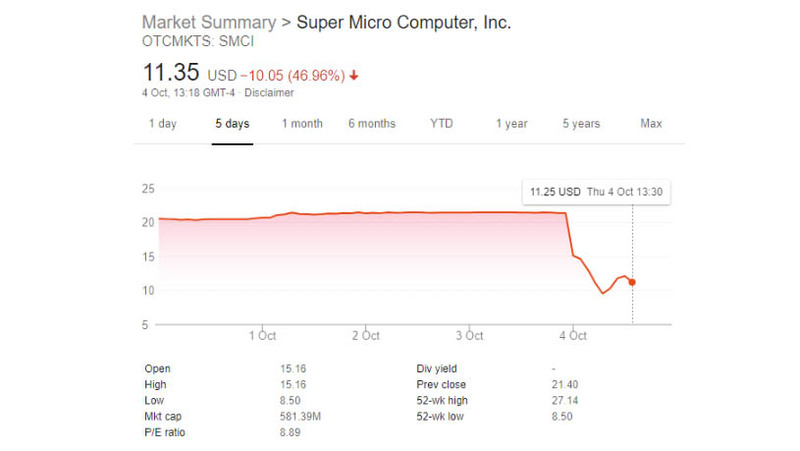 The company has nearly lost half of its value since yesterday, plummeting 43.93%, and counting, in just a day. “We remain unaware of any such investigation,” a Super Micro representative says in response to the claims. 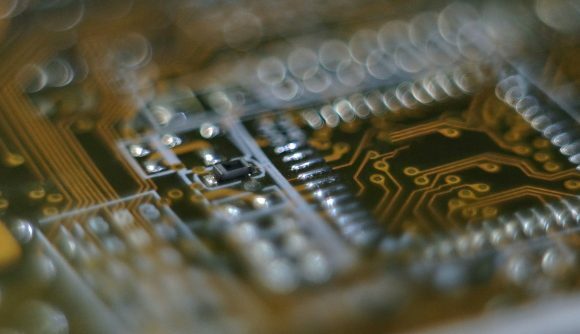 Amazon and Apple have also denied the report from Bloomberg, both claiming they are unaware of any malicious chips planted within their servers. The Chinese government also indirectly denied the reports findings. The report claims that six current and former national security officials let slip the details on the investigation and its implications. Further confirmation was received from workers at Amazon Web Services (AWS) who confirmed how the chips were discovered during Amazon’s acquisition of Elemental, a software company that works on multiscreen video. Apple insiders, too, offered information regarding the hardware attack that Apple reportedly fell victim to. The supply chain from China to the US has already been a point of contention between the two economic superpowers. The US government recently implemented far-reaching tariffs on Chinese goods, some of which could increase PC component pricing considerably. Pricier graphics cards for us gamers is one thing, but secret chips allegedly implemented by foreign spies in server motherboards is a whole other deal.